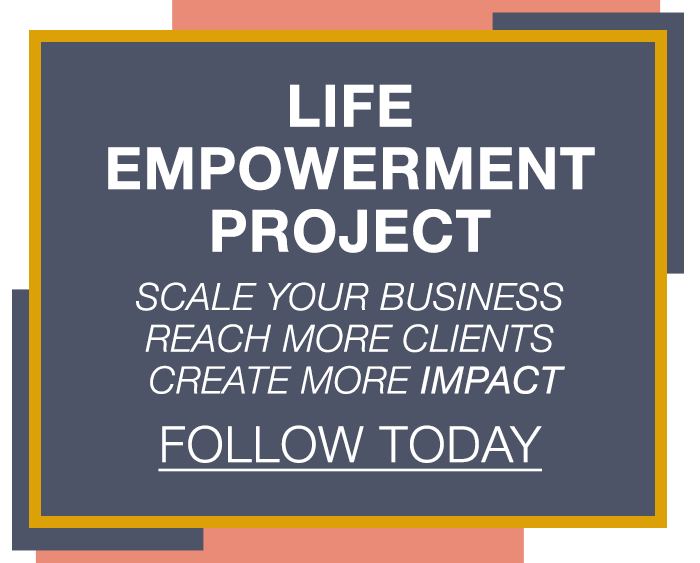 So we’re going through a super exciting time at Life Empowerment Project. We are bringing on amazing new team members who are at the front end of the business who are going to be looking after the people who want to come on board the program, making sure that they are the right fit, making sure they know what it’s going to take; and then within the program, next level accountability, next level support. So we will be in heaps of training together and that is where the topic for this blog has come from. 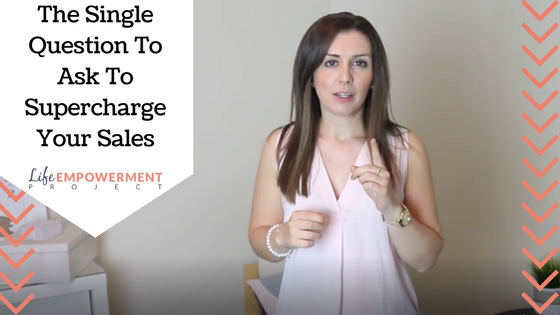 The topic for today is the one question you need to ask in order to supercharge your sales. Sales to a lot of people in this industry is a dirty word which is the reason that you are not serving enough people and changing enough lives. The skill that you have are undeniable, that’s never going to be the problem. Where the problem lies is the skill sets that’s slightly outside of that, which is particularly your marketing. Getting people to really spread your message that needs to be spread and then of course converting those people who your message does resonate with into customers and therefore changing their life. That to me is a responsibility of yours. You have the ability to change people’s lives. Never sell yourself short of that. So that’s what this blog is about. It’s about ensuring that you are taking the correct energy into those sales conversations, into the sales calls so you can convert somebody and change their life. That is the beauty of what we do. It’s not a case of taking somebody’s money, it’s a case of you get to give them one of the best breakthroughs that they are ever going to get in their life. “Who do I need to be in order for this person to know that if they follow me they will get the answers that they need”. Now there’s a couple of reasons why people wouldn’t want to work with you, but a main reason why people wouldn’t want to work with you is that they are not inspired enough, you’ve not got them in enough of a change state to really break out of those old patterns and old chains that have been holding them back. Then the other aspect is that you’re not displaying the leadership. You’re not displaying the enticing life, you’re not displaying the person that they want to be. As soon as you step into that and you begin to own that, I can guarantee that you have the answers that need within you, but how can you express that? How can you be that? When you ask yourselves that question you ignite your reticular activating system and of course, you find the answer. Who does this person need me to be for them to know that if they follow me they’ll get the answers that they need. So say if you’re in business, does this person need me to be confident? Does this person need me to be assertive? Does this person need me to show leadership? Does this person need me to be still heart centred, but really focused on what I’m creating?. You’re not asking so that you can mould yourself into what everybody else needs. When you get your ideal client in mind, being yourself and really stretching yourself to that next level of what you’re capable of is where the magic lies because a lot of the time those clients are very similar that you’re attracting and then you just get to be the next level of you. Whenever you are being the next level of you and the next level of what your ideal client needs, you will attract the next level of client. Your business will grow. The results will flourish, your energy will be phenomenal. So next time that you’re going into any sales conversation of any kind within your business, ask yourself, who does this person need me to be in order to know if they follow me they’ll get the answers that the need. I know if I was on a call with somebody and they were displaying certainty, they were displaying leadership, they were displaying a quiet confidence and total and utter honesty however bunt and hurtful that might be at the time but total honesty, that would be the qualities that I would look for. Ask yourself who does your ideal client need you to be and then ask yourself how can you do that on a higher level, on a greater level to a greater degree and therefore make an even bigger change in the world. Because I know that’s what you’re here for. So utilize this question, I would love to hear how you get on. Again, when you connect to those new levels of what’s possible for you, what you attract into your life is just next level, very exciting, always unexpected of course but creates amazing freedom and really allows you to fulfil the purpose that you are here for. Practice, practice, practice. The more you do this, the more you extend yourself and expand your comfort zone, the more you will be able to achieve and the more lives you will change. 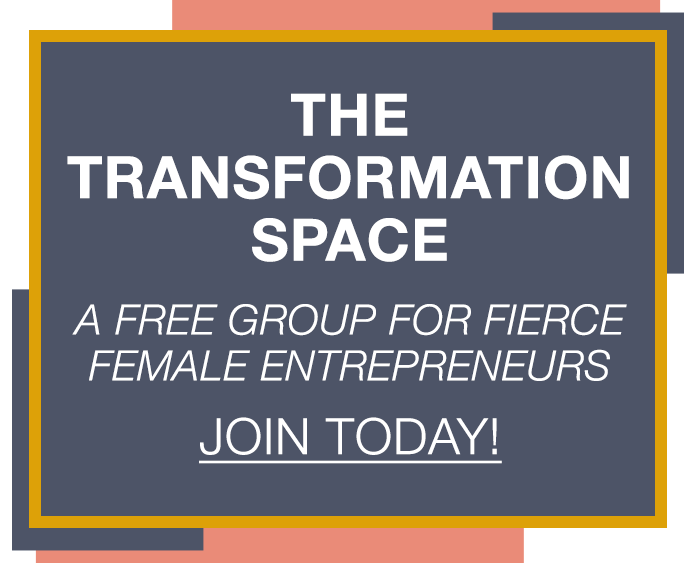 I hope you got value out of this, if you have please share this video, we want to reach as many women as possible and I would love to see you on next week’s blog. In the meantime, Live Empowered and be Inspired.